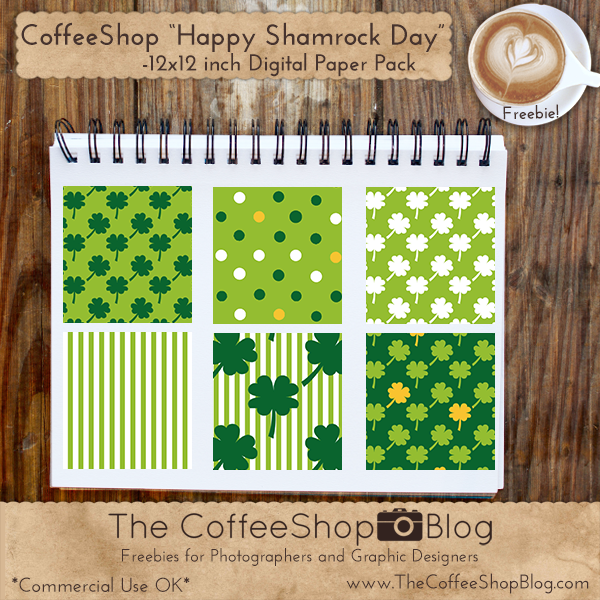 The CoffeeShop Blog: CoffeeShop "Happy Shamrock Day" Digital Paper Pack! CoffeeShop "Happy Shamrock Day" Digital Paper Pack! St. Patrick's Day is always a big deal in my family because it is my Mom's birthday. We might have a bit of Irish in our blood too, so we make sure to celebrate this holiday together every year. This weekend we are having my parents over for homemade pizza and I am really excited! I love celebrations that involve delicious food and family. Download the CoffeeShop "Happy Shamrock's Day" digital paper pack.